"Had my first MK1 L.C at the age of 17 when I lived in East London, England. My second car was a Lotus Crayford convertable MK2- that was way back in the early 70s, thats when i first got the bug. Had a few fast Fords after, but then, it's the same old story- married, kids, etc. etc. " 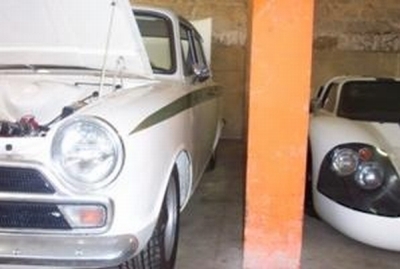 "In 2005 I decided to get myself another MK1 LC and was shocked at the money they were fetching. And with that, brought the fact that there were more than a few clones about!! Best course of action was to join the L.C.R,and put in a "wanted ad". Best 25 pounds I ever spent! " "Saw 3 cars- one in the U.K., one in Italy, and another (the one I eventually bought) in Spa, Belgium. 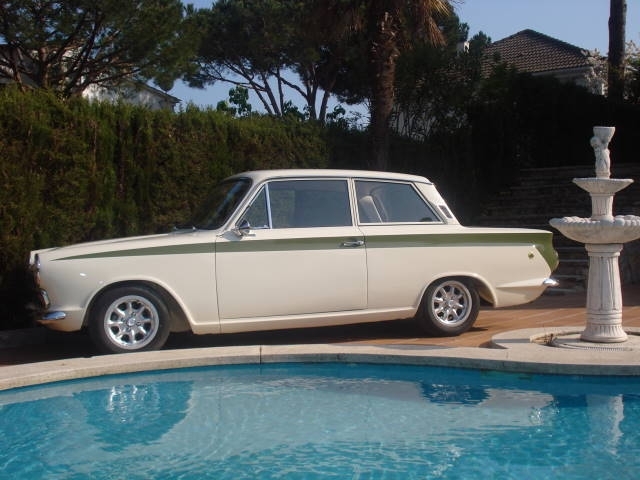 The last was a left-hand-drive MK1, which was just right, as I live in Spain. I believe the car was originally in the USA (Owned at one time by Michael Rogers) and in about 1987 or '88, was imported to Belgium by a company in Spa, dealing in rally/race cars. By the way, if anyone knows anything of the history of the car, or has pictures of the car during its time in the USA, please contact me." "The guy who bought it from them around that same time didn't use it at all, as it was put into storage (along with some other very nice cars, including a GT40!!) where it sat until 2005. I had to try very hard not to show too much excitement when I first saw it. It was a very sound looking car with absolutley zero rust. There were a few lumpy repairs here and there, but the panel gaps etc. were spot on. I was even more impressed when I looked underneath to discover it was as white as the topside. 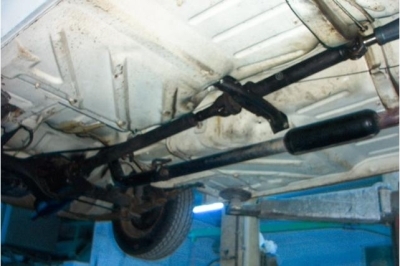 So that, and the fact the original inner wings still had the correct factory spot welds, with the vin number stamped in the correct place - I decided this was the one." "The previous owner told me he turned it over "...every now and then... so it should start". So with a fresh battery and a check for fuel and a spark, and after another 15 mins of messing with it... it stuttered into life, running very rough, and filled the place with dark blue smoke. Not the end of the world. and, in fact, it was a factor in the price." "A test drive was out of the question as the clutch and brake masters were dry, so it was all a bit of a gamble- another factor in the price." "A deal was done, and I had the car transported back to England, where the engine, gearbox, carbs, brakes, clutch, electrics, steering, all hoses etc. etc. was sorted. 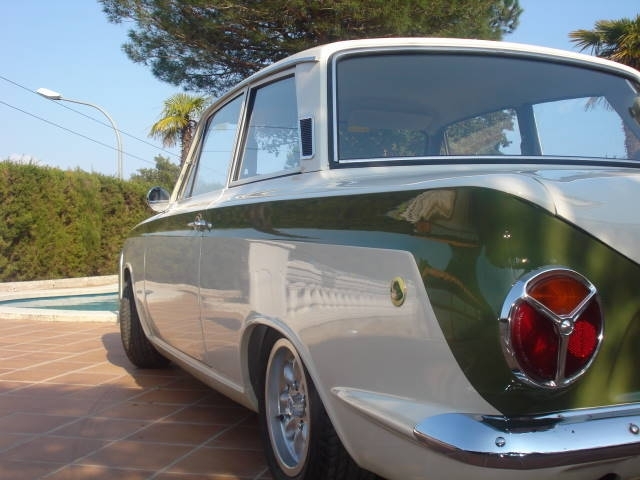 The car was then transported to Spain, where I had the bodywork smartened up and then re-painted. BA74ED59853 is now in a town called Blanes, near Barcelona." "Now... I'm on the lookout for MK2 CRAYFORD L.C."